Delhi Chief Minister Arvind Kejriwal Sunday warned people against voting for the Congress even as speculations are rife that AAP is in touch with the grand old party for a tie-up for the upcoming Lok Sabha polls. Addressing a function in Kakrola, he also asked people not to vote for the BJP, alleging that all the seven sitting MPs of the party did nothing for Delhi's development. "Don't vote for the Congress at all, if you vote for the Congress it will strengthen Narendra Modi. Let not your vote split and give all seven MPs to the AAP," the Aam Aadmi Party chief said. His remarks assume significance as speculations are making rounds that a pre-poll alliance is possible in Delhi between the AAP and the Congress to stop the BJP in 2019 parliamentary elections. Both the parties have so far avoided denying such speculations. Senior AAP leader Gopal Rai said recently said that political affairs committee of the party will take a call on alliance considering views of leaders and workers from Delhi, Punjab and Haryana, after January 15. Ajay Maken, who was critical of his party's alliance in Delhi with the AAP has resigned as the Delhi Congress president, while senior party leader and former Delhi CM Sheila Dikshit maintained that national leadership will take decision about a tie up for 2019 and she will abide by it. 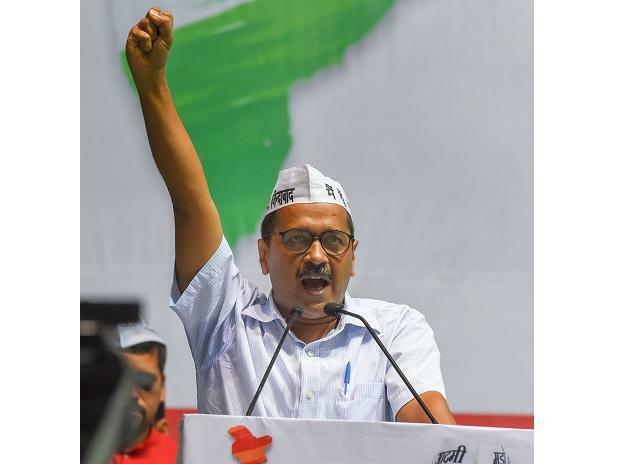 Taken on face value, Kejriwal's appeal to voters not to vote for the Congress means that the AAP is ultimately ready to take an independent plunge in the coming parliamentary polls. The national executive of the AAP in its recent meeting decided to contest all the seats in Delhi, Punjab, Haryana, Goa and Chandigarh, totalling 33, in the Lok Sabha elections.